DISCONTINUED. Designed to meet the needs of small to medium properties the Glow-Worm Easicom 24c combi boiler produces hot water on tap (pardon he pun) as and when you need it to a maximum output of 24kW. Also available in an LPG version for homes off mains gas it has a SEDBUK 2009 efficiency rating of 89.3%. 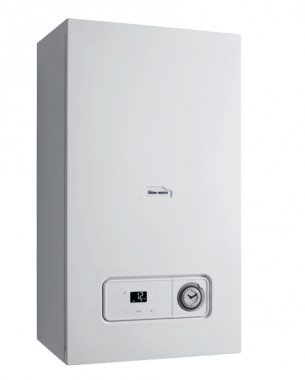 This wall-mounted boiler is fairly compact in size and measures 74x42x34. Weighing 37kg it's neither the lightest nor the heaviest boiler of its kind on the market. It benefits from a three year parts and labour warranty. For homes off mains gas the Glow-Worm Easicom is available in an LPG version. To cope with greater heating demand there's a 28kW version for those who need a more powerful boiler. With easy to use controls which can be accessed via a front panel the boiler features a useful digital display to provide codes for diagnosing faults. It also has a built in analogue timer. However it's very limited in what it can do.